Toby Boutle was selected as candidate for Ilford South yesterday evening. Toby assisted George Osborne during William Hague's time as leader, writing speeches. He is now a barrister and Chairman of the Hornsey and Wood Green Association. Ilford South's projected Labour majority is 9,228. Mark Spencer was selected on Friday evening as our candidate for Sherwood. He faces a projected Labour majority of 6,722. ConservativeHome has repolled our candidates that we first profiled here. In the context of the debate on MPs' pay, 72 candidates answered our questions on the financial consequences of entering the Commons and of being a candidate. Q1. What would happen to your income if you became an MP? Q3. Do you plan to pursue other financial interests if you became an MP? "Candidate set to be Tories' first black woman MP tried to stand for Labour just two years ago"
Tomorrow's Mail on Sunday has the story on Helen Grant, Ann Widdecombe's successor. More soon. 10.45pm: The MoS story is now online: "Mrs Grant carried on supporting Labour by letting the Party use her offices as a telephone canvassing centre in the approach to the 2005 General Election... Labour sources confirmed that Mrs Grant joined the Labour Party in Reigate in July 2004 before leaving without explanation in February 2006. In previous interviews she has said she was only involved with Labour for "for five minutes"." "In the MoS story, Helen Grant seeks to play down her Labour activism, saying that she was only in the party for "about five minutes". There are some further somewhat unconvincing lines too. What she should have done was to take the story head on and be quite up front about why she left Labour and became impressed by David Cameron. A passionate defence of why she's a Conservative would be far more likely to convince Kent Tories of her worth. The weak lines fed out by CCHQ on her behalf to the MoS have done her a disservice... Helen Grant now has an early opportunity to prove her Widdecombe-esque qualities and sock it to those in politics and the media who are quite clearly seeking to undermine her." ""I have never been a member of the Croydon Labour party. I was a member of the Reigate & Banstead branch from mid 2004. I never attended any of their meetings, made no donations and did no canvassing or campaigning work for them at all. I have never denied my association with the Labour party and talked of it in a newspaper interview published in the summer of 2006. "I was approached by Croydon Labour party and I did consider transferring membership to them but I never received any response. They also approached me about using my office telephones and I believe 2 people came in once but never returned. "I was seduced by Labour for about 5 minutes but quickly realised what a complete shower they really were. People from poor or minority ethnic backgrounds often unthinkingly consider Labour their party but during my brief flirtation with the Labour party I found them arrogant, complacent and un-inclusive. "When David Cameron became leader of the Conservatives in December 2005 I was completely inspired by his vision of inclusiveness, opportunity and trust in people. This led to me join the Conservatives in January 2006, having already resigned from the Labour party. "The only party I have only ever voted for is the Conservatives." "At the request of Toni Letts, a Labour councillor in Croydon, I considered standing as a Labour council candidate for Croydon. I was ineligible to stand for council in Croydon and did not pursue this." "Helen is another person who has listened to David Cameron and decided to get involved with the Conservative party because of his positive vision for the counrty." 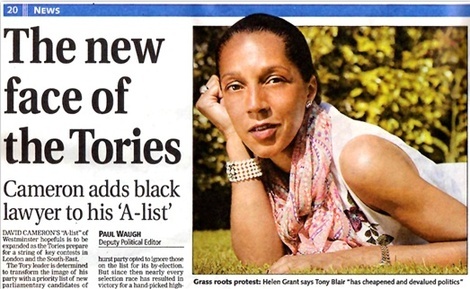 Writing on The Guardian's website, Simon Woolley of Operation Black Vote, welcomes the selection of black Tories like Helen Grant and Shaun Bailey. "In the past, the machinery of party politics, particularly that of the Tory party, viewed diversity as being a bit like the united colours of Benetton: it looked good, but it didn't mean one jot. Today, Shaun Baily is encouraged to talk about his inner-city roots - to talk about tackling crime but also about big business. As the Black farmer, Emmanual Jones has turned his race into a successful business brand. And Helen Grant will spare no one's blushes when she talks about her early days as a lawyer and being the only black person in so many offices. In the past, these would-be politicians were given a choice that was stark as it was debilitating: be either a one-dimensional ethnic minority MP or a multifaceted MP who does not talk about race. Time will tell whether the party and these individuals can continue the transformation of the party. The party's Caroline Spelman made her intentions clear when she unequivocally sacked the Tory councillor Nigel Hastilow for refusing to apologise for his use of Enoch Powell's "rivers of blood" speech. That's relatively easy stuff when compared with challenging the party's dominant view that nearly all immigration is bad, or that multiculturalism is to blame for the radicalisation of some Muslims." "In a long run-up to a general election Cameron can no longer be all things to all people. He is either with his party's neocons who harbour a profound dislike for anyone who isn't like them or he is a liberal moderniser that weeds them out, and champions a multicultural inclusive society." We know neocons has become a routine term of abuse but that's a very silly misuse of the expression. ConservativeHome has been unable to confirm the rumours but there is an expectation in Westminster that Sir John Stanley, MP for Tonbridge and Malling, may be about to announce his retirement at the next General Election. We contacted his office yesterday and could not get a denial of the speculation. Should Sir John retire he will initiate a selection contest for a seat that he held with a majority of 13,352 at the last General Election. 10.15am: His office are now saying that Sir John will stand at the next General Election. It's good to get things like that on the record. These numbers raise all sorts of questions about the health of Conservative Associations in supposedly deep blue constituencies and the degree to which selection meetings, including open primaries, are vulnerable to entryism. Gareth Hughes has been selected for Wrexham. At the last General Election Labour won a 6,819 majority over the second-placed LibDems. In the second big selection of the weekend Helen Grant has been selected by a meeting of Maidstone and The Weald's Executive to be the Conservative candidate at the next General Election. A solicitor with considerable experience of family law and also healthcare you can read more about Helen on her website. She told M&TW Conservatives that she came into active politics because she was inspired by David Cameron. Maidstone and The Weald has a projected Tory majority of 11,793. ConservativeHome understands that Conor Burns came a close second in the selection. The photo above is a clipping from the London Evening Standard. 7.30pm: Vicky Ford was a finalist and has blogged about the process here. Matthew Groves was adopted for Plymouth Moorview yesterday afternoon. Matthew faces a projected Labour majority of 7,907.
projected majority of 11,142 over the LibDems and approximately 1,200 more over the Conservatives. Adeela Shafi was adopted yesterday by Bristol East Conservatives to overturn a projected Labour majority of 7,379. 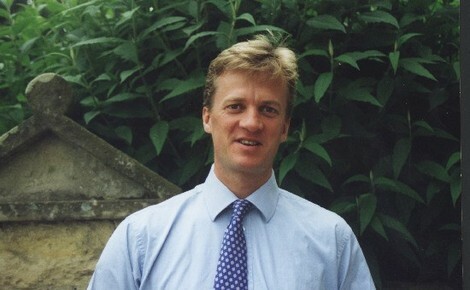 Nick Yarker was yesterday selected yesterday for the LibDem held seat of Bristol West. The Tories are a projected third place in this seat with just a third of the second-placed Labour vote. The South East region's four Tory MEPs - Richard Ashworth, Nirj Deva, James Elles and Dan Hannan - have all been put back at the top of the list for the next European Elections by a Regional Selection Committee. All MEPs seeking re-election have been toplisted so far. Two plum seats are selecting this 'Super Duper ' weekend. N E Cambridgeshire today and Maidstone and The Weald tomorrow. Steve Barclay was in the final for both and has been selected today. David Senior was runner up. Congratulations to Steve who inherits Malcolm Moss' projected majority of 7,530. Edward Legard, a former soldier and now a barrister practicing in the North of England, has been selected as Tory candidate for Darlington. He faces a projected Labour majority of 10,642. As reported by Nick Webb. Chris, Chairman of the Bow Group, faces a notional Labour majority of just over 6000. Will all sitting MEPs be toplisted? Yesterday we noted MEP selections in N W England. We are also aware that Geoffrey van Orden and Robert Sturdy were toplisted in the Eastern region (Christopher Beazley is standing down) and Syed Kamall and Charles Tannock were toplisted in London (John Bowis is retiring). Please email us when you hear of any other selections. We are expecting all sitting MEPs to be rubber-stamped toplisted by the Regional Selection Committees. The seat has a notional Labour majority of over 6500. 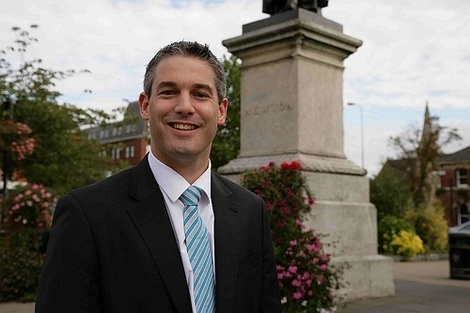 Scottish Tory Boy has reported that Alberto Costa has been selected for Angus. The SNP has a projected majority over the Conservatives of 1,601. Yesterday Den Dover, Robert Atkins and Sajjad Karim all received more than 50% of the votes from a meeting of select members of North West Tories. ConservativeHome learnt that "there was some hostility" to Mr Karim at the meeting but he received the necessary votes to enjoy one of the top three places on the regional list. Because of changes made by the Party Board last year ordinary members can no longer place new and potentially more Eurosceptic candidates above sitting MEPs if those sitting MEPs have already been 'toplisted' by the kind of Regional Selection Committee that convened yesterday. Mr Karim's 'toplisting' will be controversial. He only defected from the LibDems at the end of November after scoring badly in the LibDems' only selection vote. 66% of Tory members told ConservativeHome that they opposed special treatment for defectors. If the selection had been left to rank-and-file members they may well have preferred a longstanding Conservative activist to represent them. They may have also been unhappy to see Sir Robert Atkins, an opponent of David Cameron's EPP policy, from being ranked in the top three. We will now never know. Since Mr Karim defected to the Conservatives he has been active in supporting North West Tory candidates and was instrumental in securing last week's defection of a LibDem Manchester councillor. Applications are open for the seat being vacated by Andrew Pelling MP - the projected Labour majority (because of boundary changes) is 317. CCHQ is saying that the closing date for applications is 2pm on Monday 21st January. 'Local candidates' are advised to confirm deadlines, however, because of what Lee Rotherham experienced (noted here). Good for MaTWCA for publishing in the way they have. They've identified the fact that 22 candidates were interviewed of 98 applications considered. The selection will be on 20th January. Importantly, that's one day after NE Cambridgeshire select. If Steve Barclay or James Brokenshire succeed there, David Godfrey and Lynne Hack may get to be called. As Jonathan Isaby revealed yesterday, Private Eye's Ian Hislop will be chairing the selection. Local city councillor and Cabinet Member for City Services, Hazel Noonan was last night adopted for Coventry NE. Cllr Noonan faces a projected Labour majority of 14,485.